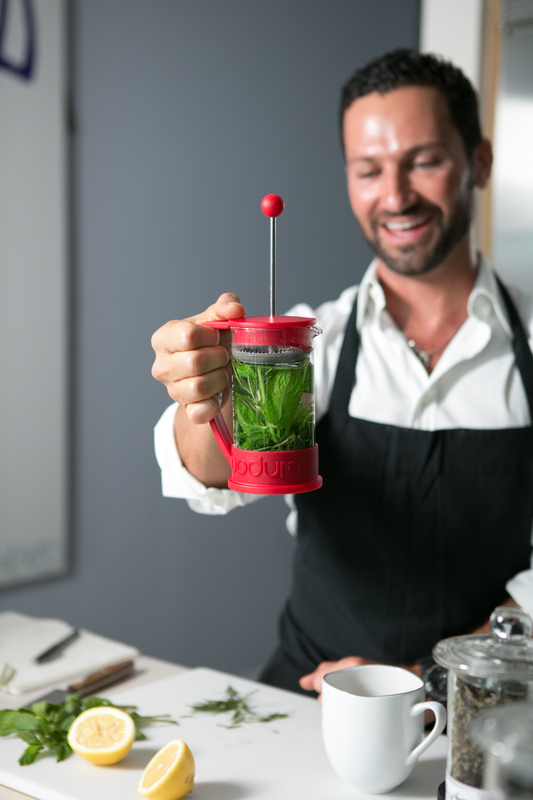 Here is a little simple trick I use in order to make fresh herbal tea in the most easy way. 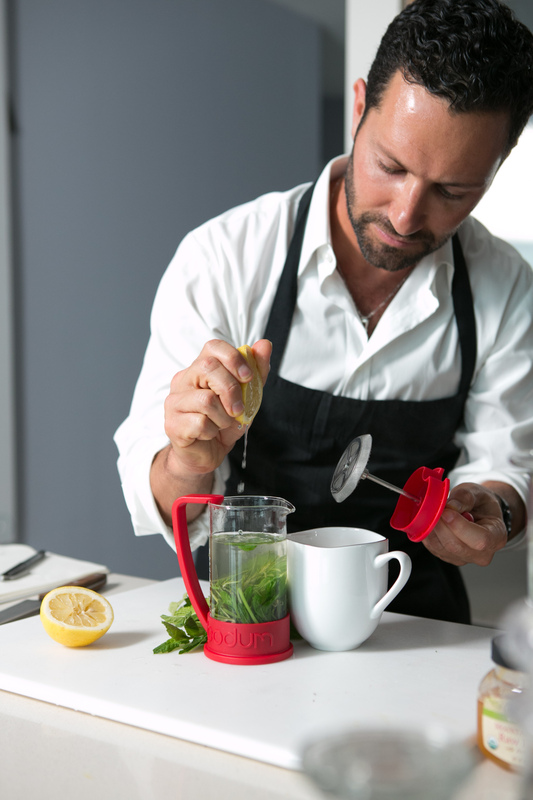 Cut whichever herbs you have, such as mint, rosemary, sage, chamomile flowers, lemon grass, ginger etc., feel free to mix and match your favorites and create your own tea combo, place them on the bottom of a French press, add hot water and let it sit for few minutes. When you are ready to drink your tea feel free to ad raw honey for sweetness and/or fresh lemon for sourness, this fresh tea is full of vitamins, mineral and antioxidants, some of these herbs are amazing for digestion.